The more you know about something, the more you realize how little you know about anything. Ah, I see. I was reading it backwards...The million dollar question is then, where do I find a 0.201"/#7 drill bit...? The tap/die set I bought has no bits, which now seems quite stupid. Here's another chart that shows decimal to fraction http://www.gearhob.com/eng/design/drill_eng.htm which says a 13/64th bit is .002" larger and may be easier to find. the 2 thou isn't going to make a difference. BUT you do need to know for sure what the thread pitch on your zerts are. I used 1/4-20 as most likely but I don't have one to measure. Your tap-die set should had a thread pitch gauge in it. I actually have the correct drill bit for each tap I use taped to it so there's never a question of which bit I need. Thread forming Zerks. No tap needed. 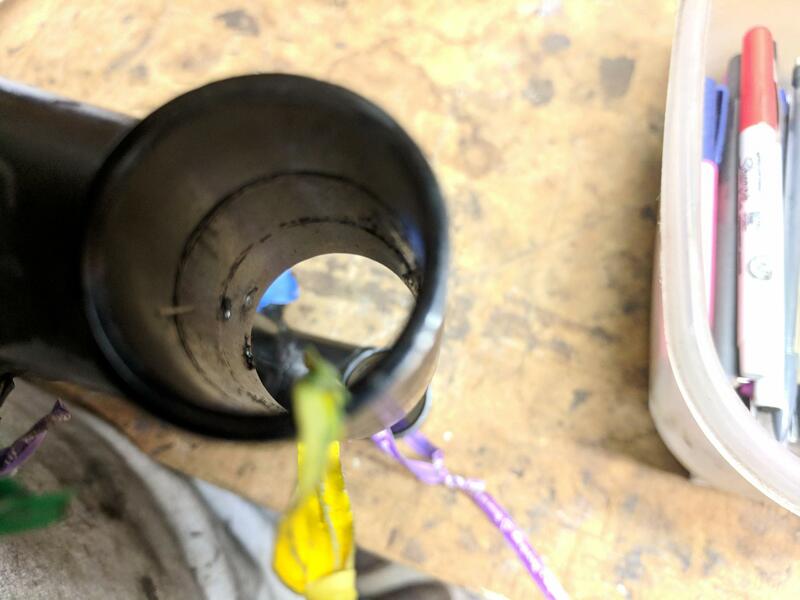 If you are buying a 1/4-thread tap, the thread on them is 1/4-28. I also recommend either a 45 deg. or 90deg. zerk because it is easier to connect to when the bike is all together. I used a 45 deg. on my bike. 1991 Honda Nighthawk 750 "Big Red"
I should have gone with tapped zerks, but I wanted to give drilling and tapping a try. 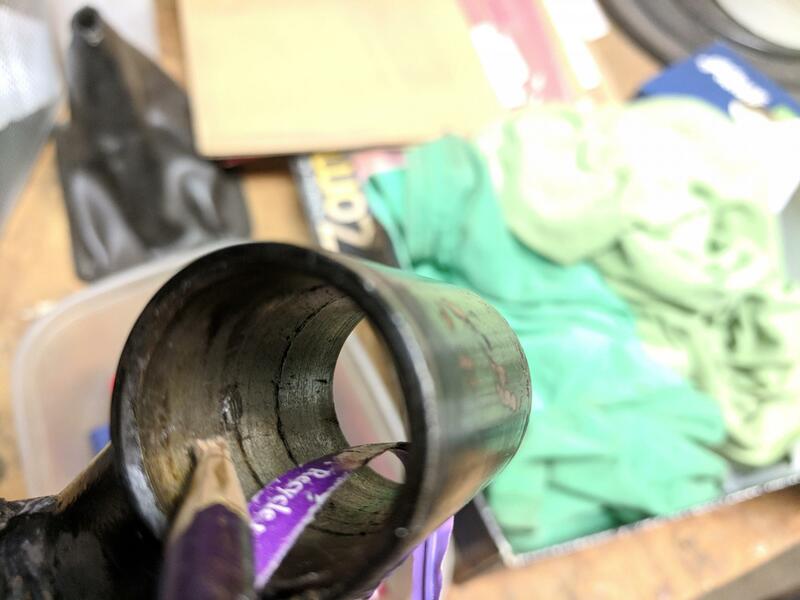 After all was said and done, I drilled a #3 hole in both sides of the swingarm axle, tapped it with a 1/4-28 tap, put a bit of purple light-duty Loctite on there, and screwed the 1/4-28 "taper thread" zerk. I must say, it was thrilling to put grease through this thing and have it all work after all the reading around. Drilling and tapping is an extremely basic machining technique, but like most things, quite daunting for a first-timer. Last edited by Tremelune; 03-12-2014 at 08:33 AM. Anyone know the torque specs for the Pivot Bolt and Nut? I've been rebuilding my Rear Swing Arm and I'm unaware how tight the bolt should be in order to pull the whole assembly together properly. I've got a 1971 Cb350 K3. I looked through my Clymer but there's no torque spec in there. Question related to an old thread. The bronze bushings press into the large metal "hoops" on the swingarm. Is there a critical dimension for the "hoops"? I had a machinist pull out my old bushings, and noticed that there are a few metal divots/tangs from the slide hammer. These will have to be removed, probably by honing out the hoop, or carefully grinding away right on the spot. Just polish it out with some emery onastick. 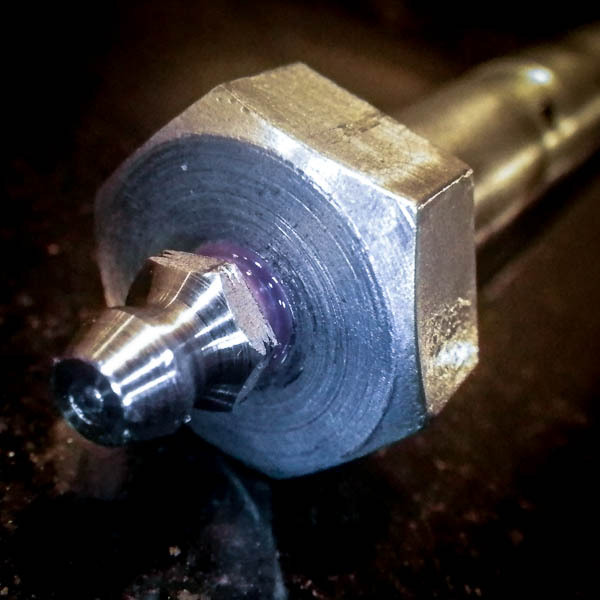 If interference fit is too tight you'll have to line bore or pilot ream them after fitting.